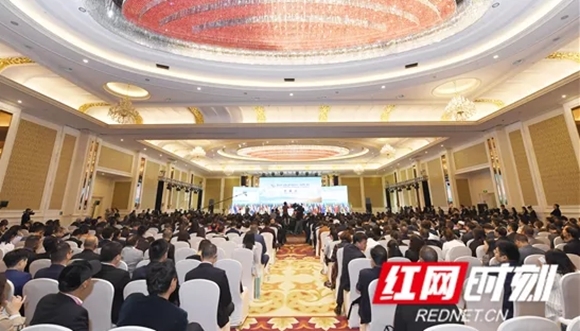 Zhangjiajie Club » 2018 Silk Road Business Summit opened in Zhangjiajie. 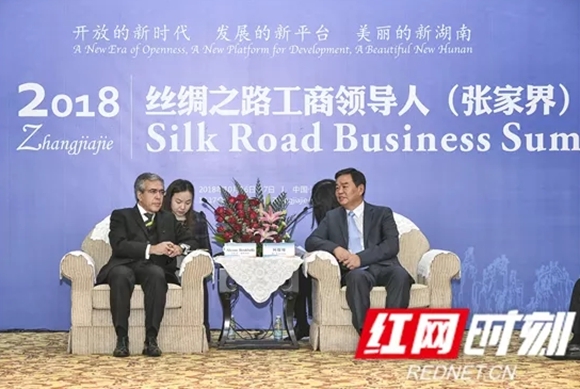 2018 Silk Road Business Summit opened in Zhangjiajie. 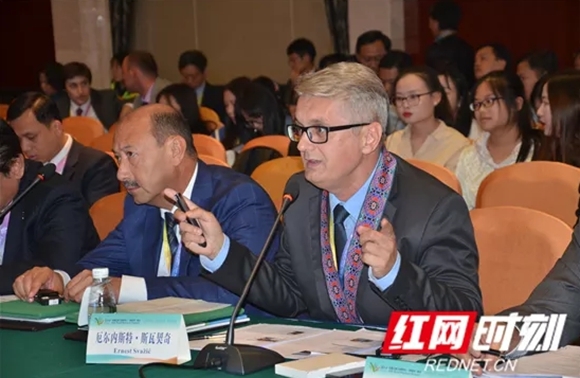 On October 16, 2018 Silk Road Business Summit was grandly opened in Zhangjiajie.Former President of Croatia – Stepan Mesic,Former Speaker of Nepal – Subas Nemwang,and Chen Zhimin, Deputy director of the Social and Rule of Law Committee of the Chinese People’s Political Consultative Conference,They attended this opening ceremony or delivered a speech,Mr. 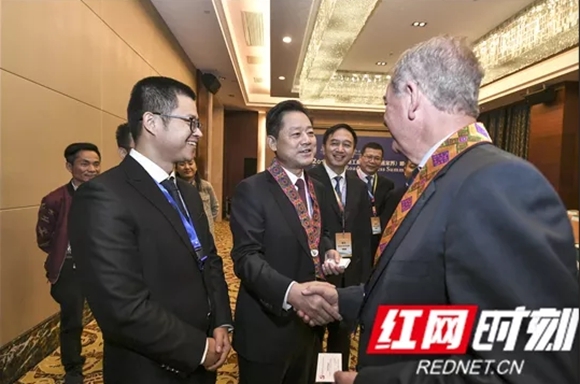 He Baoxiang, deputy governor of Hunan Province, announced the opening of the conference. Georgian Minister of Environmental Agriculture – Levin David Tashvili; China and Africa Interior and Public Security Minister – Henry Wangze Linjisala; Wang Shucheng, member of Foreign Affairs Committee of Chinese People’s Political Consultative Conference and chairman of World Chinese Newspaper Association; China Brand Building Promotion Association, Chairman of the Board – Liu average; Former Vice Minister of China – Zhang Zhigang; China International Chamber of Commerce, Executive Director – Zhang Yanling; Vice President of China Civil Society International Exchange Promotion Association – Dou Enyong,and etc,special guests attended this summit. 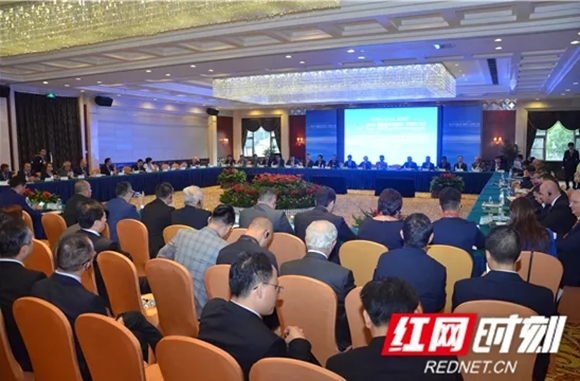 Mr. Guo Zhenggui, Secretary of Zhangjiajie Municipal Party Committee, presided over the opening ceremony of this summit. 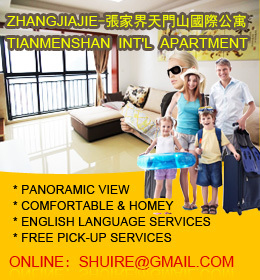 Mr. Liu Ge’an, deputy secretary of the Zhangjiajie Municipal Party Committee and mayor, made a special speech. Mr. He Baoxiang met with the ambassadors and embassies and consulates attending the summit. Mr. Guo Zhenggui met with guests from various business associations. This summit held six parallel forums. 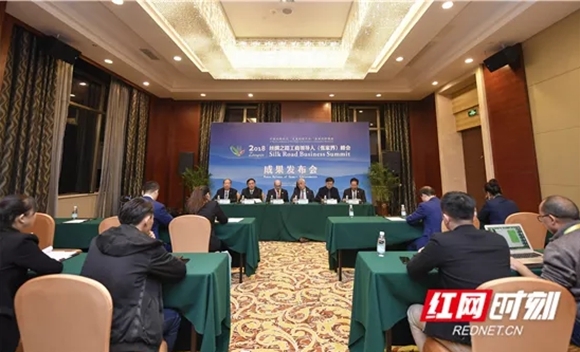 This summit reached a consensus – 《Zhangjiajie consensus》, to build a new platform for international economic and trade cooperation and humanities exchanges.